More Than Roofing provides the very best DIberville MS roofing repair service as well as brand-new roof installation services obtainable for D’Iberville, Mississippi. Did you know that more businesses have opened in the past 10 years in D’Iberville than any other community along the Mississippi Gulf Coast? Many fine homes have recently been constructed in D’Iberville since Hurricane Katrina in particular. D’Iberville has grown substantially since More Than Roofing was founded over 50 years ago. What began as a very small, Harrison County based roofing business rapidly blossomed into a full service roofing contractor primarily because of our numerous referrals from current and past clients. More Than Roofing has conducted Diberville MS roofing installations and roof restorations on many residences in D’Iberville throughout that period of time. Over the ten years to be specific, We have garnered a great number of roof repair requests due to storm damages from wind which have afflicted roofs in the D’Iberville area. 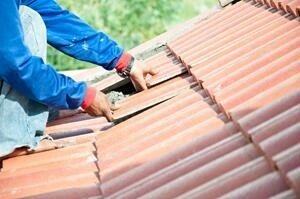 More Than Roofing is totally covered for both liability and workmans compensation. Most importantly, More Than Roofing is completely focused on our customers. At the conclusion of each project, we carry out a Customer Satisfaction Check-Up which gives More Than Roofing the capability to make sure that our clients are 100 % pleased with our craftsmanship. We truly think that roofing is both a craft and also an art. Every single one of our roof replacements and roof restorations are performed to optimum standards. Many roofing contractors are heavily centered on producing a profit by completing roofing tasks as rapidly as feasible. Here at More Than Roofing, our primary emphasis is honesty and a higher level of craftsmanship. More Than Roofing by no means compromises the standard of a roofing project by the cutting of corners or the usage of materials that aren’t the best quality. A More Than Roofing crew isn’t paid byhow rapidly they complete a job. Our roofing crew is always compensated after the task has been totally inspected and signed-off on as completed to perfection. For the safety of most of our customers, More Than Roofing always strictly applies all components based on the manufacturers standards. State of the art roofing products we use include Owens – Corning and GAF plus many, many others. At More Than Roofing, our passion is to install top quality, superbly constructed, strong, and incredibly beautiful roofs. Your leaking roofing has been fixed by someone. However, how come moisture still drips down your wall space? More than 60% of the roof repair work that More Than Roofing performs in Harrison County is produced when we repair the substandard work that our rivals have previously offered to our customers. We suggest that you do not make the common and very costly blunder when you hire a nonprofessional roofing contractor that is centered solely upon cost. A decision that’s based solely on pricing can cost a lot more money and heart ache over time. Is your roof suffering from tree damage, storm damage, water leakage, or just falling apart? Your residence will be the largest investment you probably will make in your lifetime. Regular maintenance of your roofing ensures that your home will continue to stay in top condition. More Than Roofing specializes in lots of challenging, hard to mend roof systems that lots of competing roofing contractors will not tackle.